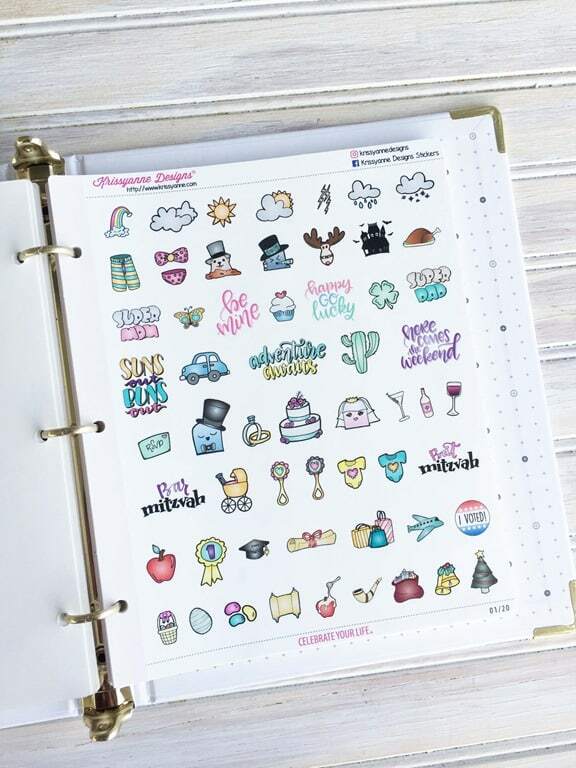 For any paper planners out there using Erin Condren, Plum Paper, Happy Planner, etc, you need to have Krissyanne Designs (KAD), on your bookmark list. 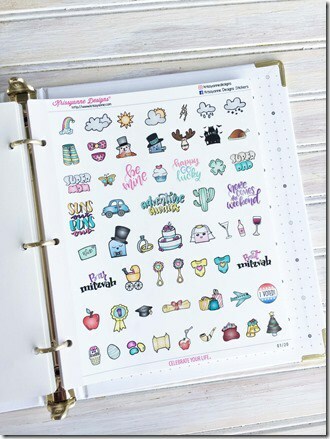 Kristin has been in the planner business for a few years and she is now in Michael’s stores nationwide. I got to know Kristin through a small start-up Facebook group and her Etsy Shop, which I reviewed a few years ago. and I’ve been a huge fan since. We get to meet up each year for Go Wild conference and I now consider us great friends who get to meet at a huge party every year. 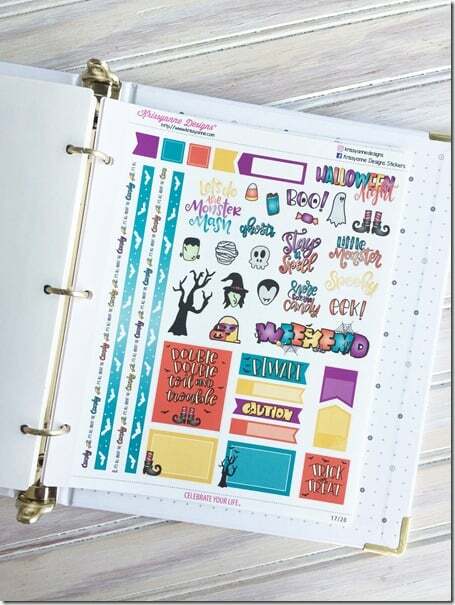 For the past three years, Kristin has released a sticker binder with a years’ supply of kits and add-on sticker sheets. This year’s Celebrations Collection is better than ever before. 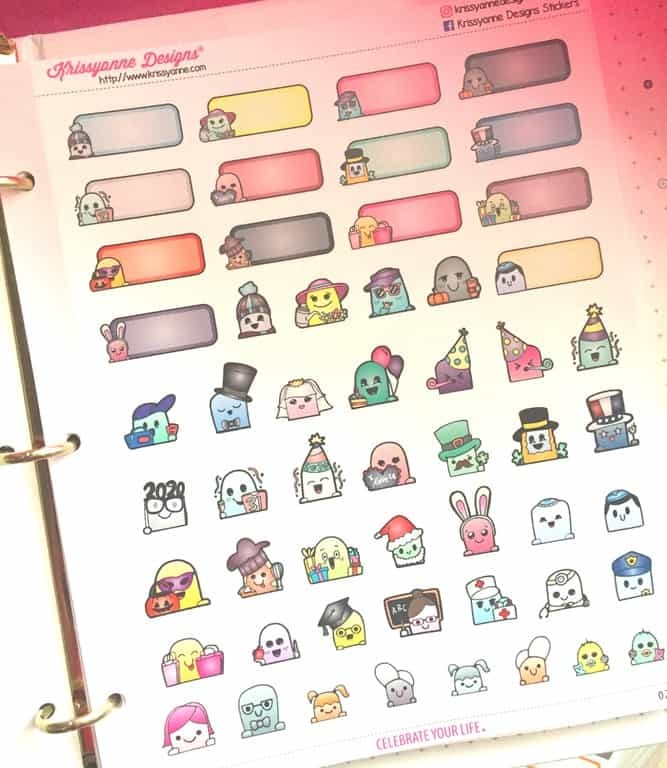 Her design team (herself and her husband :)) is outstanding at knowing what will appeal to the crowds of grown women and men who like to play..I mean….schedule with stickers. 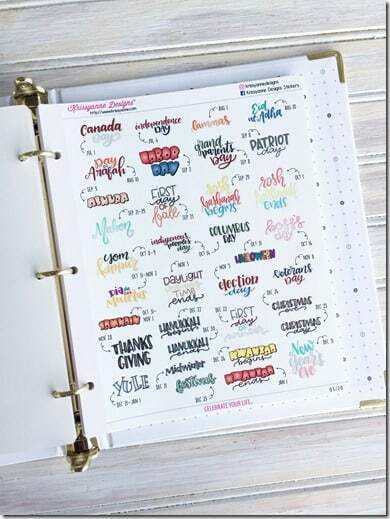 Cindy Guentert-Baldo contributed to the collection again this year with her lettering and fonts. 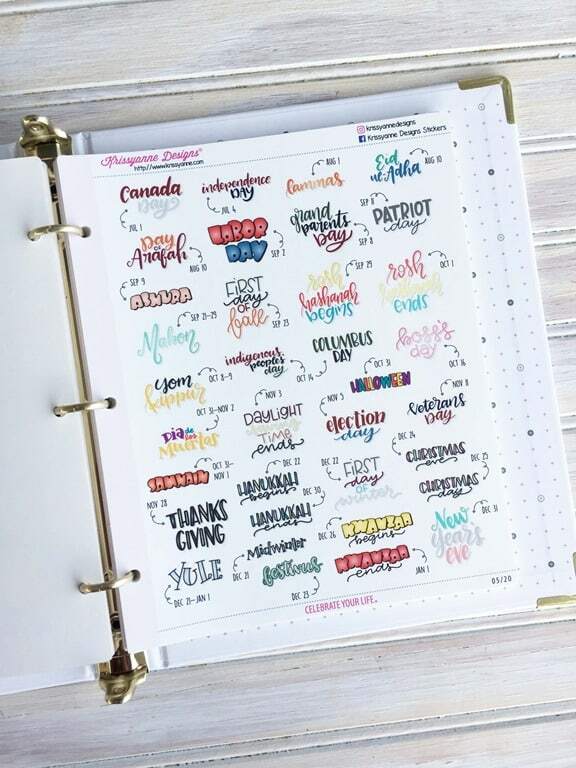 You can find out more about Cindy’s lettering genius on her Youtube Channel. I also get to squeeze hug Cindy once a year at our big Go Wild party. Have I mentioned how much I love driving or flying across the country to hug people? 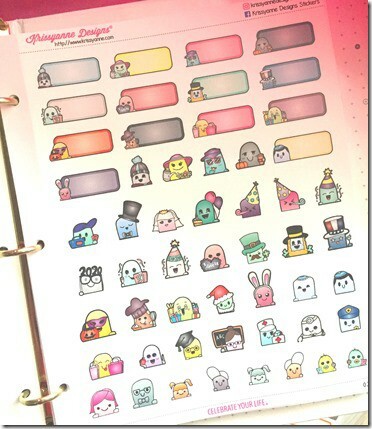 Included in the binder are these holiday and special dates. Kristin prints the dates for easy use because we’ve all been there, staring at a sticker, way past the date of use. And, I learn about a LOT of dates that I had no idea existed. She covers various religious and cultural days of observance, which just makes her more awesome. 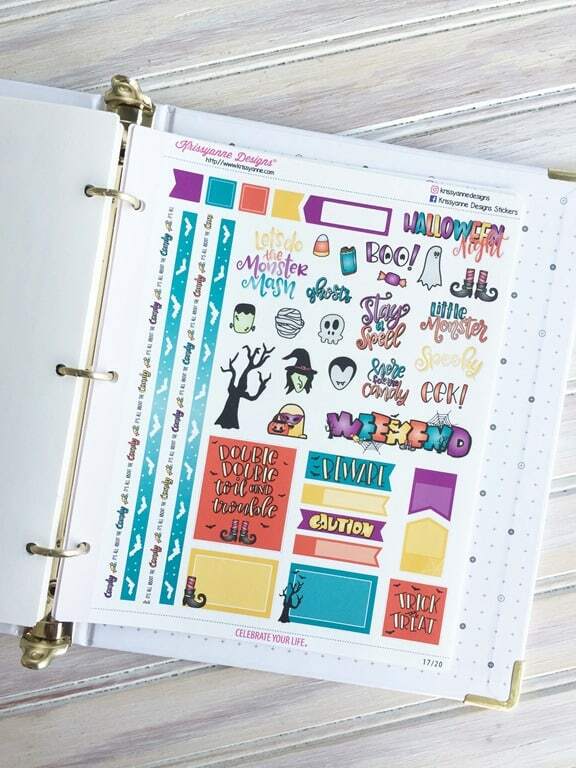 There is a sticker kit for each season and major holidays. 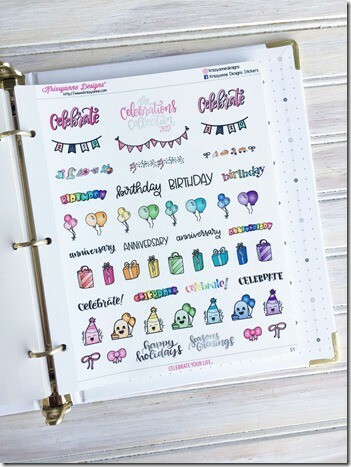 I love these Celebration birthday stickers for all the people in my life who love celebrating a year older. And who shouldn’t enjoy their big day? There is always a big supply of the character “Steve” in various costumes and ready for any event. Since my birthday is on St. Patrick’s Day, I always flip to that page first. Kristin’s design this year was the best one! I don’t know how she keeps making design sheets to mix with Green, but I always have to look first at March. 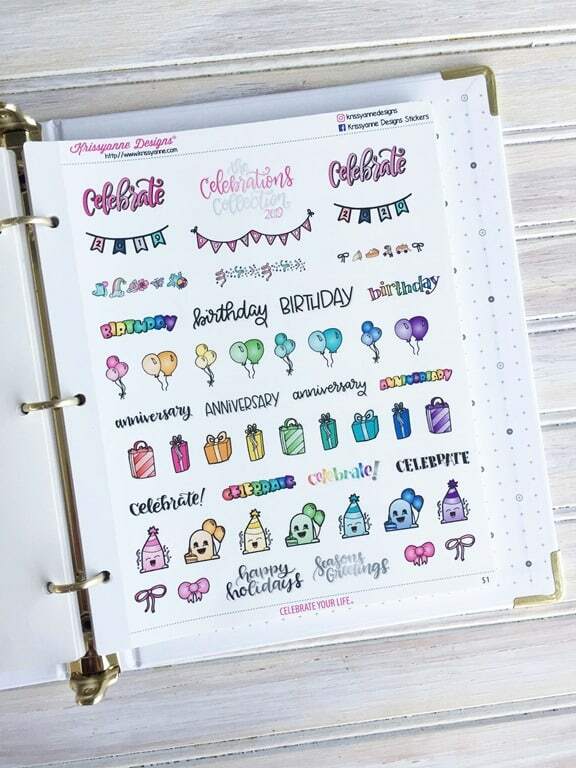 The Celebrations Collection will be on sale later this spring so if you missed out in December, grab it soon! Kristin now has her own website for all purchaes. And she is so much more than stickers! krissyanne.com.